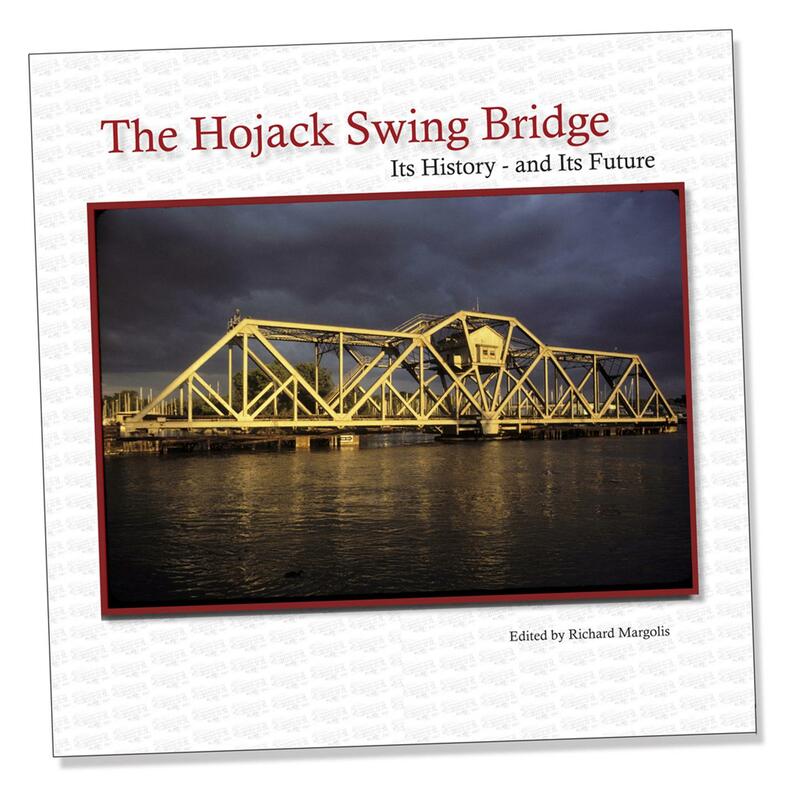 Compiled and edited by Richard Margolis, this book documents the history of the bridge, the region, and the railroads that used the bridge. The Hojack Swing Bridge, built by the King Bridge Company in 1905, carried trains across the Genesee River, on the Rome, Watertown, and Ogdensburg line. It has been out of use since 1995 and the U. S. Coast Guard has ordered CSX Transportation to remove it because, they claim, it is a hazard to navigation. The bridge is the most interesting feature in the “Port of Rochester,” is eligible for historic landmark status, and survived a similar threat ten years ago. 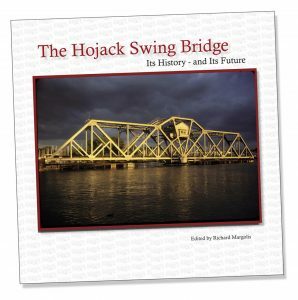 This book documents the history of the bridge, the region, and the railroads that used the bridge. Eric DeLony’s essay describes the development of movable bridges, and Alan King Sloan, a descendent of the founder of the King Bridge Company, contributes an essay titled “Saving Old Bridges” that begins: We save old lamps, old paintings, old quilts, old teapots, old cotton gins, old baseball cards, and old cars as valuable “collectables” to be admired and treasured for their artistic and historic merit. We do the same with old houses and factories, particularly if they can be “reused” for some modern purpose. But what about old bridges? 125 pages, 10 x 10 inches, 86 photographs, maps & drawings. Edited by Richard Margolis with essays by Joanne Arany, Stuart Bolger, Mary Hamilton-Dann, Eric DeLony, Allan Isselhard, Emma Pollard Greer, Jim LaVilla-Havelin, Richard Margolis, Joni Monroe, Richard Palmer, Charles Roemer, Harold Russell, Peter Siegrist, Alan King Sloan and John Walsh.